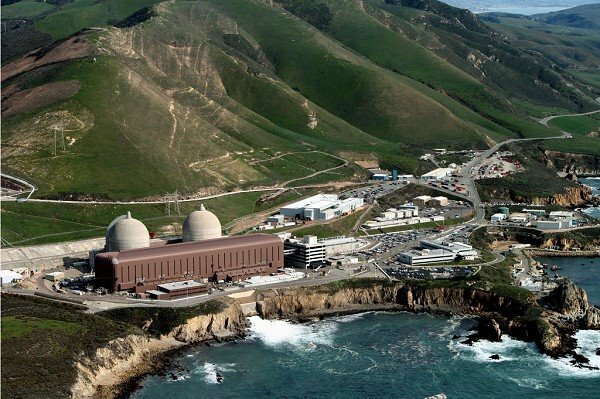 Last year when Pacific Gas and Electric Company announced that it wished to close the Diablo Nuclear Power Plant by 2025, the San Luis Obispo County sought to downplay the impacts. 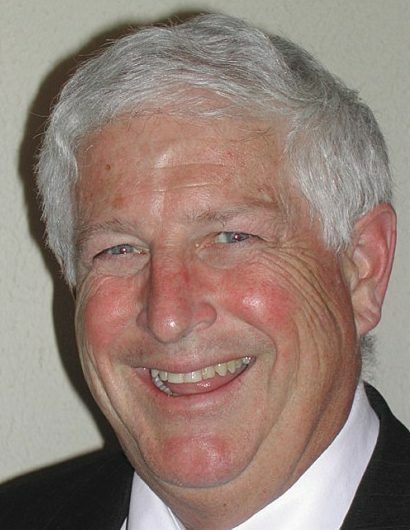 Former county administrative officer Dan Buckshi rationalized that the county’s share of the attributable property taxes ($8 million of the total $22 annual million – most of which goes to the school district) is a relatively small part of the county’s overall $120million in property taxes. He asserted that, while not a helpful circumstance, the lost revenue would not have a major impact. At the time, we thought that the soft peddling was both misinforming and calculated to protect the former progressive SLO County Board of Supervisors majority from public criticism, because they had never lifted a finger to support PG&E’s effort to relicense the plant or to rally community and political support for such an effort. They never even publicly supported PG&E and retention of the plant as a matter of adopted public policy. Instead, we believe the property tax is the fundamental base of the county’s discretionary revenue which supports public safety. Remember, that the $8 million per year for 10 years is $80 million, which when lost, is not available for sheriff’s patrol, jail incarceration, fire and emergency medical response, and district attorney prosecutions. During the entire period that relicensing was on the table, the former county board leftist majorities were actually aiding nuclear plant opponents by pandering to calls for expensive seismic studies of potential sub-ocean floor earthquake faults. After the Fukushima, Japan Nuclear Plant tidal wave disaster, they ramped up the hysteria even though the Diablo plant sits on an 85-foot bluff above the ocean. Similarly, the county joined a consortium of Santa Barbara and Ventura counties and many of their cities to study the feasibility of community choice aggregation, at a cost of hundreds of thousands of dollars, a State of California political scheme designed to socialize electricity production and distribution. Under the unfair law, cities and counties can band together to buy “green energy” (or any energy for that matter) on the open market and retail it to their citizens at rates which undercut the investor owned utilities like PG&E. The investor owned utilities are required under the law to deliver that electricity to their own former customers. While they can charge CPUC approved transmission rates, the economics are disastrous to the investor owned utilities. In any case and in the meantime, the county and the San Luis Coastal School District negotiated an $85 million community Impact mitigation payment with PG&E to soften the property tax loss blow over the 7-year period from now until 2025. As we reported a few weeks ago, on Nov. 8, CPUC Administrative Law Judge Peter W. Allen had issued his recommendation to the full CPUC Commission that Pacific Gas and Electric’s $1.7 billion rate increase attendant to the closure of the Diablo Power Plan be substantially rejected. The County is particularly distressed that $85 million in payments to offset foregone property taxes included in the proposed package had been entirely rejected. Consistent with this Commission’s decision in D.97-05-088, and in the absence of legislative authorization, the CIMP is not approved. Utility rates should be used to provide utility services, not government services, no matter how beneficial those services may be. In addition, we have some concerns about the fairness of the CIMP under the proposed settlement. Note that again, and as we also reported weeks ago, the referenced CPUC decision cited above from 1997 denied a somewhat similar request by the county and school district related to a revised asset depreciation methodology, the net effect of which would have been to reduce property taxes. See the full article at the COLAB website. Apparently the county, the school district, and the expensive outside counsel were not aware of that prior precedential decision, or they ignored it. Now, all of a sudden and contrary to the county’s former palliative statements, the loss of the property taxes and rejected payments in lieu of the taxes is a “disaster”. It turns out that County Auditor Controller Jim Erb, Assistant CAO Guy Savage, and the county’s outside expert utility special counsel Goodin, MacBride, Squeri & Day, LLP of San Francisco met with California Public Utilities Commission (CPUC) staff on Nov. 16, to plea for mercy. No one would have ever known of the meeting or the county’s request except for the fact that the CPUC operating rules require that such ex parte meetings, about a proceeding before the commission, be reported and become part of the official record. Remember, no report of their meeting has been included on the SLO County Board agenda or anywhere else. 1. The county officials remarkably asserted that the 1997 decision is not precedential because the payments are not actually a payment in lieu of the evaporating property taxes. During the meeting, the county discussed its view that the proposed decision in this proceeding incorrectly relies on decision 97-05-088 as a basis for the proposed decision’s determination that the $85 million community impacts mitigation settlement is a substitute tax for which the commission cannot authorize cost recovery. Ms. Somogyi described the in-lieu tax proposal that had been at issue in the 1997 decision, which required an annual true-up to a straight-line depreciation of Diablo Canyon-related unitary taxes; the commission at that time found that the true-up funds were essentially taxes that PG&E had not yet incurred and therefore the commission could not order cost recovery. Ms. Somogyi and Mr. Erb then described the structure and purpose of the $75 million essential services mitigation fund, which does not include an annual true-up or track the actual decline in Diablo Canyon’s unitary taxes between now and 2025. The problem for the county is that no matter how the payment is calculated, it’s still being justified on the basis of the lost property taxes. Obviously, the negotiated payment never covered all the lost taxes (about $22 million per year over the eight-year phase-down period, or $176 million). 2. The county argues that the lost tax revenue will imperil local services to the point that people, including critical PG&E employees, will move away, jeopardizing the safety of the operation of the plant. The health of Diablo Canyon’s host community cannot, in the county’s view, be separated from the plant’s ability to keep operating safely until 2025. If the quality of life in the community deteriorates, people will leave sooner, and the deterioration will increase, forcing more people to leave the area. Eventually, there will not be enough employees to maintain the plant. For those reasons, Ms. Somogyi stated the County’s view that this is an issue of first impression from a rate making standpoint and that cost recovery is justified. Here the auditor controller and assistant CAO raise the specter of service cuts so severe that citizens, including PG&E employees who would presumably otherwise stay in the community, would leave. Aside from the School District, whose officials have speculated about service contractions, just what do the County officials mean? Whatever happened to former CAO Buckshi’s assertions that the revenue loss would not have a major impact? In the larger picture what is the county doing to diversify and protect the public from county engendered service deterioration? 1. How will the county’s denial of the Phillips 66 application for increased tank car unloading contribute if the Phillips plant is ultimately determined not to have sufficient volumes to continue operation? 2. How will the continued assault on the Oceano Dunes off road riding and its possible closure and loss of tens of millions in annual sales and hotel taxes contribute? 3. What about the county failure to expand the opportunity for the permitting of more homes, especially large scale garden apartment complexes suitable for families? 4. Why doesn’t the county seek a legislative remedy to the property tax exemption for the large solar plants in the eastern county, which are escaping tens of millions in property taxes every year? 5. Will the county keep playing footsy with the community choice aggregation electric socializers even though the recent feasibility study shows it to be uneconomical? 6. What about a proactive county policy program to encourage and develop its oil and natural gas resources? 7. Instead of fighting high quality homes on acreage, why doesn’t the county have a strategy to promote the development of estate and ranchette homes, which pay high property taxes and use few services? 8. Why will it take years to zone in the proposed première resort hotel on the former Chevron tank farm property in Avila — if ever? Diablo is an old nuclear plant sitting near fault zones. If it continues to operate safely until 2025, we will have gotten away with it for forty years. Let’s not push our luck. This county’s growing sectors are wineries and tourism. This is our future. So who wants an oil refinery? Agreed that additional on shore oil and gas production makes sense. These resources are extracted cleanly and safely throughout the country. The future is to transport them through pipelines and refine them elsewhere. Our economy depends on our environment and tourist trade. As for the Oceano Dunes, sand dunes have been dusty since creation … leave the off road riding alone. As for housing and lodging developments, IF they positively contribute to greater quaintly of affordable water for the larger community; IF they improve sewer and road systems; IF they improve community parks and recreation opportunities; IF THEY ARE A NET PLUS FOR THE COMMUNITY, then yes! The County needs to see development broadly, and when you have a good project, cooperatively. After all, the County gets the first 1 percent of a development’s earning through property taxes … if the Assessor isn’t a wimp. mazin, there’s no basis for your fear of nuclear energy. In 60 years of operation, not one fatality has resulted from nuclear power generation in the U.S (emissions from burning coal are blamed for 13,000 premature deaths every year, mostly in the Southeast). Tours of Diablo Canyon Power Plant are open to the public, have you ever taken one? If you had, you would know the plant is not “old” and there’s no “luck” to push. The plan has been continually updated and maintained to the highest standards of safety, and is regarded as one of the best in the U.S. nuclear fleet – the best of the best. Though there isn’t a square inch of California which isn’t “sitting near fault zones”, the seismicity of the land under Diablo has been studied more than any land parcel in the country. The plant was deliberately designed to withstand any tremors which might shake the area (Diablo not only withstood the shaking of the 1989 Loma Prieta quake – it kept generating electricity right through it). And if you had been following the news on climate change – hurricanes, melting glaciers, rising temperatures – you would know there is no additional onshore oil and gas production that “makes sense” – anywhere. With Diablo generating 2 billion watts of clean electricity, day and night, the only thing that makes sense is keeping it open. Mike, nice to read an analysis by someone who understands the disastrous financial effects PG&E’s decision, if approved, will have on SLO county. It’s entirely consistent with the disastrous environmental effect the closure will have on climate. The abandonment of Diablo Canyon Power Plant will add 9 million tons of CO2 emissions to California’s annual total when it’s replaced by burning natural gas. And it will be replaced by burning gas – just like San Onofre was five years ago (the “G” in PG&E stands for gas, or fossil fuel methane). Judge Allen’s decision even acknowledges we don’t know whether it will be replaced with carbon-free electricity – yet shutdown was approved anyway. PG&E’s profitability may very well be improved by burning gas to make electricity. But if we trust fossil fuel companies to protect the environment, our cause is lost before we begin.